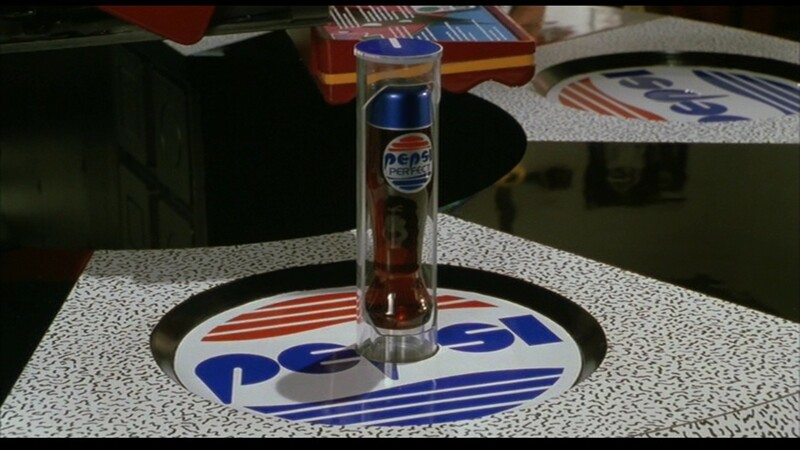 Back to the Future Part II Pepsi Perfect to be Released! First we had NIKE announce that they were working on power lacing shoes like Marty McFly wore in Back to the Future Part II. Now we have Pepsi jumping on the bandwagon and releasing something ultra-cool as well. According to USA Today the soda maker will produce Pepsi Perfect, the drink in the funky bottle Marty grabs at Cafe 80s in the second installment of the time travel trilogy. The drink won’t be any new concoction, but it will be made with real sugar instead of the artificial sweeteners that flood the market today. If you want to grab one you’d better be prepared to open your wallet, as Pepsi seems to have a sense of humor about this. The bottles, which are limited to 6,500, will cost the average fan around $20.15. If you want to buy one, which you will have to do online as these won’t be available in retail markets, you’ll have to keep tuned to Pepsi’s social media pages as they’ll let you know when you’ll be able to purchase them as October 21 draws closer. Marty Mornings: Each day, the first 200 fans who come to the Pepsi Perfect Booth (#CP101) dressed as Marty McFly will take home their very own Pepsi Perfect. Quick Draw Wild Gunman Style: Every day starting at 3PM, fans are invited to come to the Pepsi Perfect booth and play Wild Gunman for a chance to win Pepsi Perfect. Bottles will be awarded to the fastest gunman in town, so start practicing. While I’d love to be able to just walk into my local corner store and nab one of these it makes it a little more special that you’ll have to be lucky enough to buy one when Pepsi makes them available. The collector in me loves the thrill of the hunt and this will make a wonderful addition to the top of the blu-ray case when I finally get one. This entry was posted in Breaking News, Film and tagged Back to the Future, Back to the Future II, Pepsi. Bookmark the permalink. George Miller Has Plans For at Least Two More Mad Max Films!